Primary factor 103 m (soft ranking). South-East of Timios Stavros, the island of Crete. Saddle: North 35:13.419, East 024:46.871, elevation 2321 meter. Difficulty: YDS class 1 (from the saddle). How to get there: See the description of Timios Stavros. Route description: See the description of Timios Stavros. Comments: My GPS measured the nearby key saddle to 2311 meter, the summit to 2414 meter. The map (that I found after this hike) says that the key saddle is between contours 2320 and 2340, with the summit at 2424 meter. That is a prominence no larger than 104 meter. 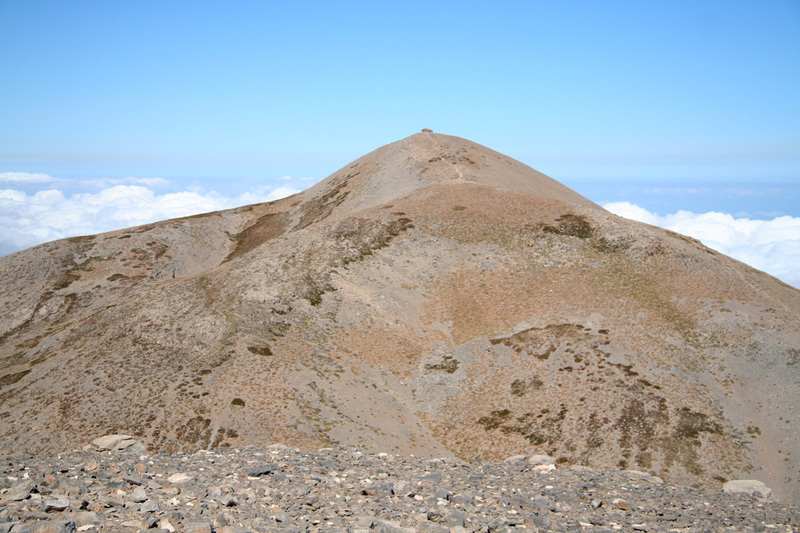 Thus, this mountain is "soft ranked", and I use the 103 meter obtained by local measurements. There are additional comments under the report on Timios Stavros. Agathias, as seen from Timios Stavros. 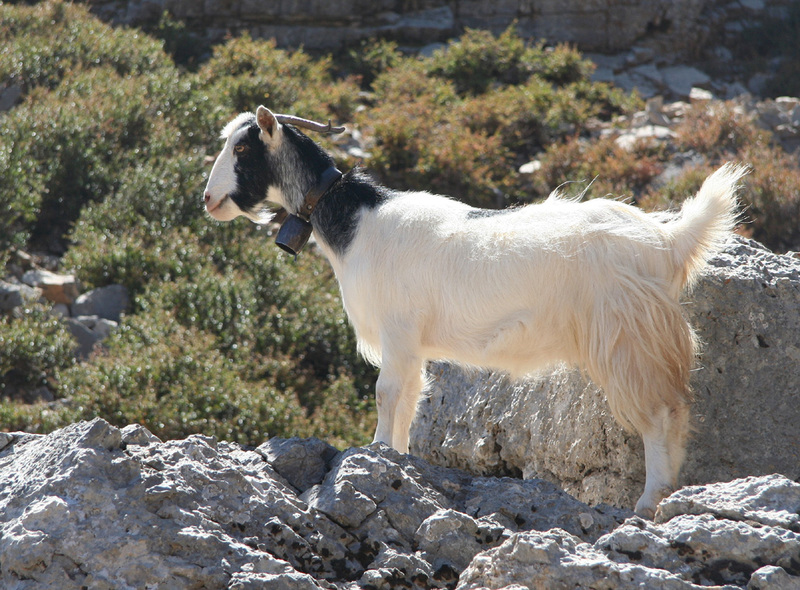 Timios Stavros, as seen from the summit of Agathias. Summit view east. 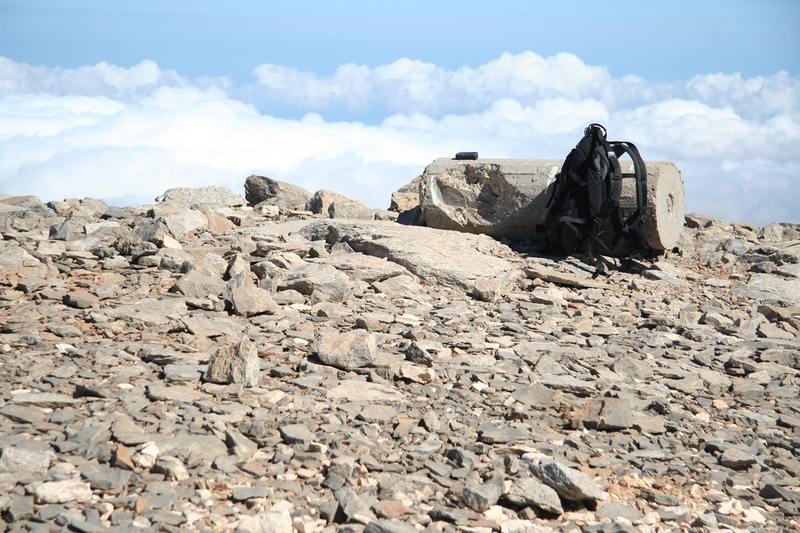 In the foreground, the three tops that I traversed, Kousakas, 2211, the point which is approximately 2245 meter, then Vouloumenou, 2267 meter, a named summit, but having prominence of only about 55 meter.